This Dad will appreciate the classic styling of the Tornado as well as the quality and durability that comes in this small package. 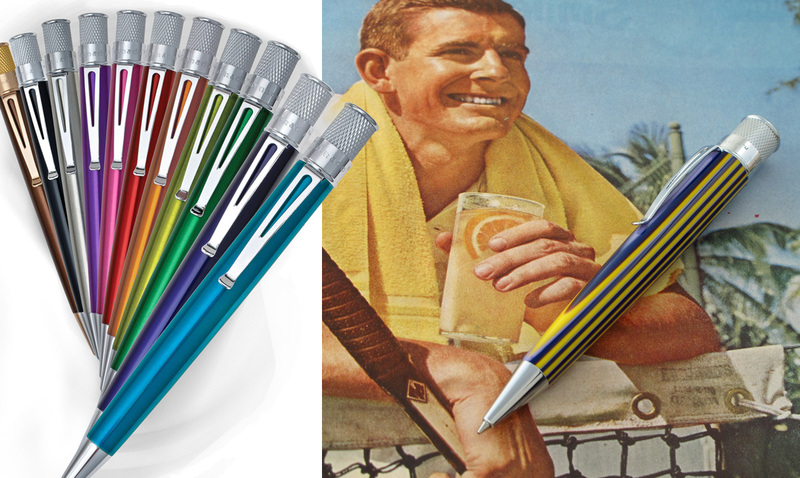 Retro 51 pens range in price from $25 to $65. A great deal for a writing instrument that will last them for years to come. Throw in a three pack of rollerball refills for $12.00 and Dad is set for the rest of the year! Millions of fathers around the world already have a “World’s Greatest Dad” t-shirt, so why throw your dad into that already highly debated mix? A King Tornado says it all…”Dad you are the King of this household” (when Mom lets you be at least). Your left handed Dad will rejoice when he discovers that the rollerball refill in the Tornado series is lefty friendly. The state of the art ink absorbs into your typical paper so quickly that Dad will never have to worry about those unsightly and annoying smears on his hand or the paper. (This is dependent on the paper and we always recommend a matte or uncoated paper for best writing results). Fear not, the Tornado has the write stuff for righties too! 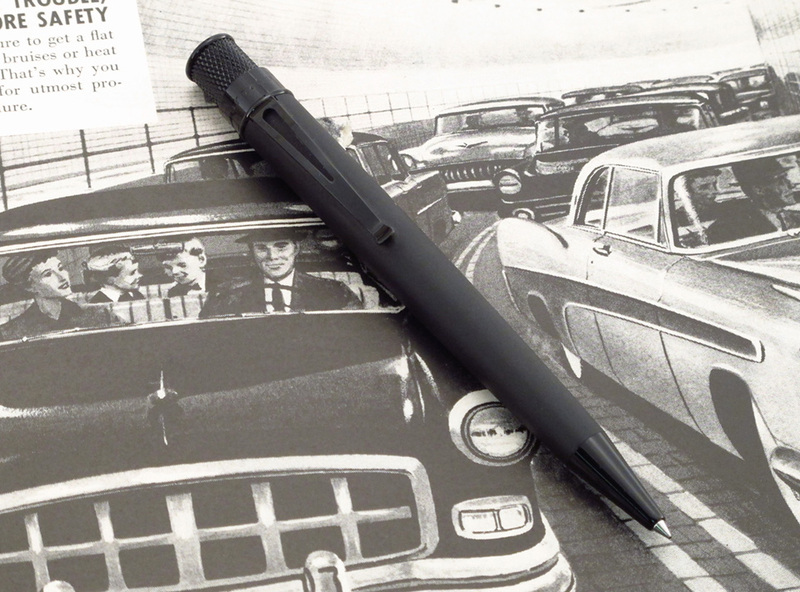 Our assortment of heavy duty metals were made for the Dad that needs a pen as rugged as he is. 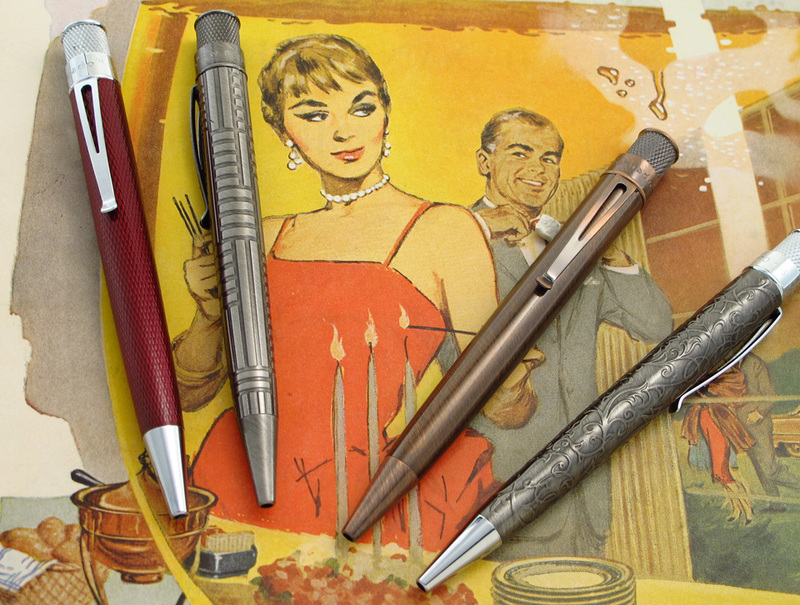 Choose from one of the new Vintage Metalsmiths, a classic Titanium, or even a Carbon Fiber; you can’t go wrong! You can also be reassured in that our Tornado pens are backed up by a three year warranty and a stellar service department should the need arise. Dinner and drinks is great, but it only lasts for one night. Why not throw in a pen to remind Dad of the amazing dinner you treated him to? There is nothing like a finely aged Vintage Metalsmith Tornado. A bonus will be that he can sign the check in style when he’s back to picking up the bill. A pen at your fingertips is indispensable for anyone that conducts business at a desk. The classic Desk Sets are an absolutely perfect desk tool, and come with both a rollerball and Easy-Flow ballpoint so Dad can be the boss and decide which he likes best. Personalized golf balls? Let’s face it, Dad isn’t Tiger and you can kiss those balls goodbye. Instead get an Elite Eagle golf pencil to record all his bogeys…errr birdies. 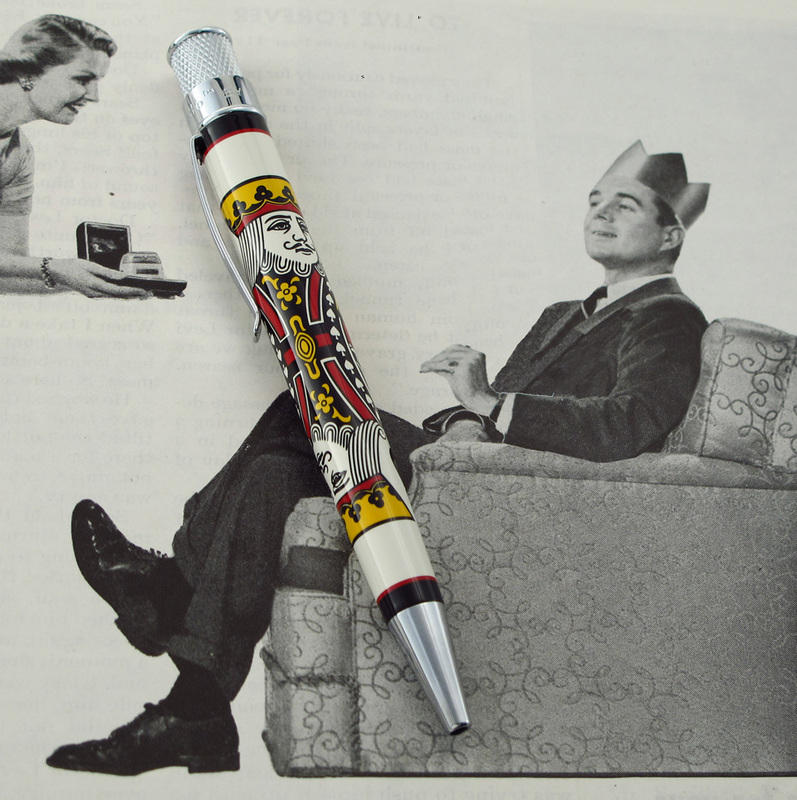 Remind Dad of his favorite childhood television and movies with a fine writing pen covered in vintage Mickey Mouse and his classic friends! With the purchase of the Bamboo Tornado, 250 square feet of the rainforest is saved with a donation to the Arbor Day Foundation. Did we mention he will get this handsome pen too? Let’s face it, pens are not only practical tools, but fashion accessories as well. Color is king and all it takes is just a touch to make a statement. Choose from our wide array of vibrant classic lacquer colors or the new acrylic Infusion for a little twist. Can’t afford a Harley? We’ve got the next best thing… Our Harley-Davidson® line of pens are sleek, masculine, and sure to get Dads adrenaline pumping. Grandpa probably still writes checks daily, so he’d be happy to get any of the above.